Global farmer-owned dairy company Arla Foods has recently launched its dairy foodservice concept created for professional kitchens. 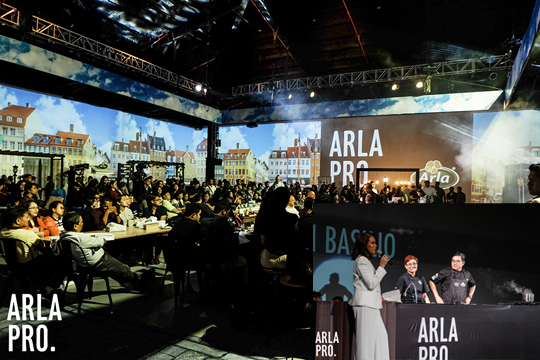 Arla launches its foodservice concept created for professional kitchens via insightful talks and cooking demos. (Inset) Arla Foods’ regional chefs Dan Basilio and Pauline Lagdameo demonstrate to audience how to bake desserts using Arla products. Presented recently to an audience composed of industry partners, foodservice executives, and renowned chefs from all over Southeast Asia, Arla Pro is designed to forge meaningful partnerships to create better food and promote better business through its top-class products, personalized service, strong foodservice expertise, innovative support, and market insight resources. The foodservice concept hopes to come up with innovative products, develop marketing concepts, and create new trends in dairy consumption with its partners. During the launch, there were talks, cooking and baking demonstrations with top chefs, and food stations from Arla’s partner restaurants Figaro, Amici, Pizza Telefono, Six Doors BBQ Buffet, and Fleur de Lys Patisserie & Café. Arla Foods’ regional chefs Dan Basilio and Pauline Lagdameo demonstrated how to bake desserts such as chocolate tarts and verrines using Arla products. The highlight of the event was the baking demo by Taiwanese chef Chen Yao-shun, champion at the 6th biennial The World of Bread (Mondial du Pain) competition held in France in 2017. Chef Chen, who led the team from Taiwan that bested 18 other teams from around the globe, emphasized that the secrets to good bread are good ingredients. 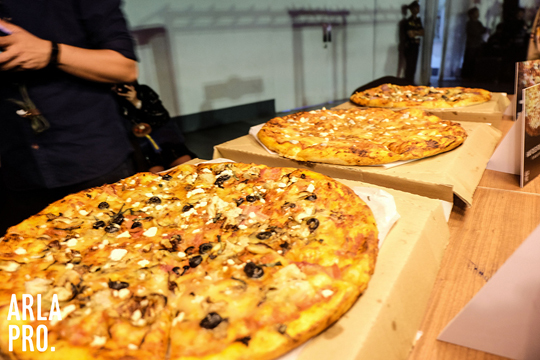 Culinary professionals Chef Him Uy de Baron and Chef Ryan Abuejela, meanwhile, showcased the versatility of mozzarella cheese with a variety of dishes and gave some cooking tips for home chefs. “Only use wine that you can drink. Don’t go for cheap wine,” shared Chef Him during his cooking demo of ramen with mozzarella. The event also marked the partnership between Arla Foods Philippines and Global Pacific Distribution Network, with the latter appointed as the official foodservice distributor of Arla in the Philippines.